Ed Sheeran has just broken a truckload of records with his latest album ÷ (Divide). In its first week it outsold the rest of the top 500 combined and became the fastest-selling album ever by a male artist. Ed is also number one on the singles chart. And number two. And number three, four, five, six,..
Actually let’s save some time: Ed Sheeran holds 16 places on this week’s top 20 – a chart first. In its opening week, Divide sold four times more than the fastest-selling album of 2016 – David Bowie’s Blackstar. Sheeran now has the third fastest-selling album in UK chart history, behind Adele and Oasis. Now is probably a good time to dig a little deeper into how Sheeran got to this point and have a look at just how much further an artist can go after such phenomenal success. 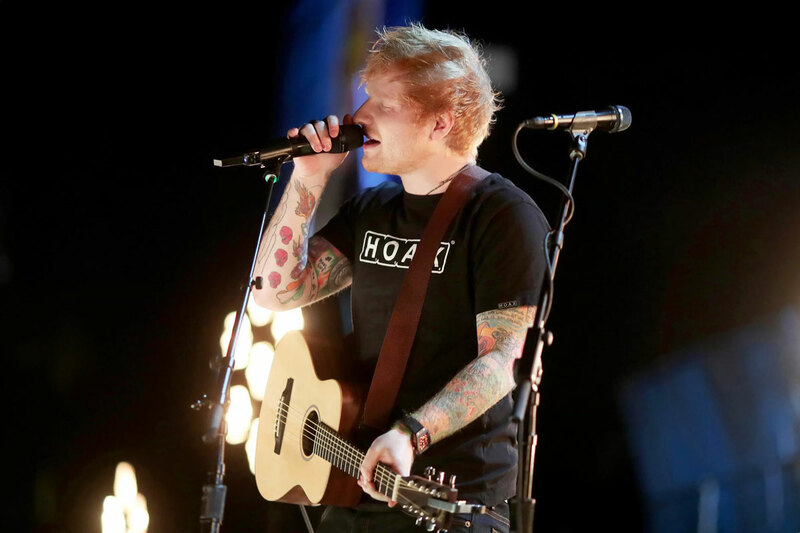 Sheeran has often spoken about how he mapped out his career route early on. He’d ingeniously come up with the idea of using maths symbols as titles for his first five studio albums. His three releases to date have been named + (Plus), x (Multiply), and ÷ (Divide). To add another element to the themed series – each album has a different colour scheme. The cover for his debut was bathed in orange, while Multiply was coated in bright green and Divide a light pastel blue. He isn’t the first artist to have a hugely successful series of albums with uniformed titles. Adele’s first three were called 19, 21 and 25 after her age at the time of writing them. It’s likely = (Equals) and – (Subtract) will be strong contenders for Ed’s next two records. Unless he wants to go with π (pie). Have we now reached peak Sheeran? Don’t be ridiculous. You can never have enough Ed Sheeran. However, his monumental success does raise the question of how he could possibly ever match the dizzy heights of Divide. Pop music is littered with bands and artists who have struggled to grow artistically after the first few albums, so he’ll have to tread carefully going forward. 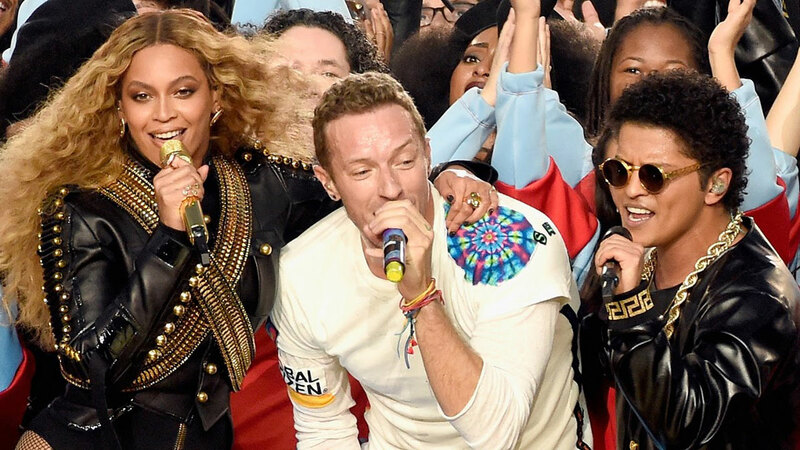 He may well follow in the footsteps of Beyonce and Coldplay – who both used their fourth albums to take a new artistic direction. Beyonce’s 4 saw her singing in a lower register than she had done previously and experimenting with new genres. It paved the way for her critically-acclaimed fifth album and 2016’s groundbreaking Lemonade. Similarly, Coldplay’s first three albums broadly stuck to the same mould, but the band surprised many when they returned with Viva La Vida. Its lead single Violet Hill took Coldplay in a new direction and opened the door for their later albums Mylo Xyloto and A Head Full of Dreams – which were far less constrained by any particular genre. So, where does this leave Ed Sheeran? The bonus tracks on Divide might give us a clue. The deluxe edition of the album features four extra songs not included in the standard 12-track edition. A couple of these more experimental bonus tracks show a different side to Sheeran, and show how easily he can transcend different musical styles. The fans certainly seemed to have reacted well to them. 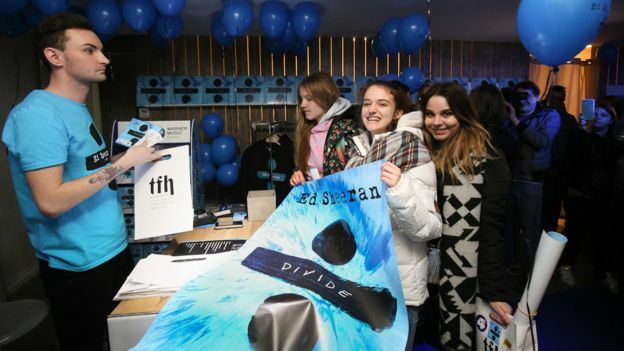 Two of the bonus tracks – Barcelona and the folksy Nancy Mulligan – actually charted in higher positions than some of the main songs on the album in this week’s chart. It could well be a sign that his next two albums will be his most creative yet. Regardless of where he might go musically, there’s little doubt about where Ed is headed on the live music circuit. “I won’t stop ’til my name’s in lights at stadium heights,” Sheeran sang in one of his earliest hits – You Need Me, I Don’t Need You. In 2017, he has several dates lined up at huge venues such as The O2 in London. While an arena tour would normally mark the peak of a band’s career, the most successful artists can climb to the very top tier. “In 2018, we just do stadiums,” Stuart Camp, Sheeran’s manager, recently told Music Week. Many artists turn to songwriting once they’ve had enough of performing – or struggle to find fame – for themselves. Sheeran might be unlikely to retire for quite some time – but he’s already started giving some of his songs away to other artists. He was behind Justin Bieber’s monstrous 2015 hit Love Yourself and wrote the most recent X Factor winner’s single – When Christmas Comes Around by Matt Terry. The list goes on – One Direction’s Little Things and Jessie Ware’s Say You Love Me also had Sheeran’s name on the credits. We’re pretty confident plenty more singers would happily take a few songs off his hands if he ever gets sick of worldwide adoration. Between songwriting, stadiums, and new musical directions, Ed has plenty of time and opportunity to build further on his incredible success. We look forward to seeing how many more records he’ll be able to break along the way. Since his latest album ÷ (Divide), he became the fastest-selling album ever by a male artist. Now that Ed Sheeran rules the charts, Where can he go next?